The private automobile has been an intrinsic part of our lives for around a hundred years. But over the last decade, car sharing has gained a very small but growing part of the mobility market. The more recent rise of companies like Uber and Lyft is witness to a more dramatic shift in mobility and car ownership. Private vehicle ownership to a transportation-as-a-service model has already started, and high capability SAE Level 4 vehicles will complete this trend. The modern automobile has played a fundamental role in shaping North American society and culture. Ever since Ford's first moving assembly lines and the mass-production of vehicles started in 1913, the car has changed how and where people live and work. Massive roadway infrastructure has been put in place to support these vehicles, from local streets to major interstates. By using a car on this vast road network, it is possible to travel from almost anywhere in North America to almost anyone's front door. Private vehicle ownership has arguably been the most influential factor; giving freedom to the vehicle owner to travel almost anywhere, whenever they want. This was substantially facilitated by the construction of the Interstate Highway system between 1954 and 1991. President Eisenhower believed that interstate highways were critical to competitiveness, safety, and the defense of the United States. The total investment in these highways is estimated as $411 billion in 2011 dollars, which provided 42,795 center lane miles of roads. Roads are also important in our economy. In 2011, the interstate transported 16 billions of freight worth around $15 trillion. The freedom provided by the privately owned motor vehicle is deeply ingrained in much of modern American culture, but it comes at a cost. The car, which is often the second most valuable possession after our homes, sits idle for about 95% of the day on average (whichever way you calculate it). The auto industry is a century-old ecosystem being ogled by outside players hungry for a slice of a $10-trillion mobility market. The car, on our estimates, is the world's most underutilized asset. We believe it's the most disruptable business on earth. Car-sharing companies have already sought to make headway in this area by providing cars that an individual can rent and drive for short periods of time, normally by the hour. Some car-sharing companies own the vehicles, and they often have reserved parking spaces around a city where they can be picked up and dropped off; The closer the start and end of journeys are, then the more convenient and cost-effective that this system becomes. Examples of companies like this in the States include Daimler's Car2Go and Zipcar (owned by Avis Budget Group), as well as traditional car rental companies that are entering this market such as Enterprise Car Share and Hertz on Demand. A similar car-sharing business model exists for those people that wish to rent out their own private vehicles, which is called peer-to-peer car sharing. Companies in this sector include Turo (formerly RelayRides), vRide, and Getaround. According to the "Innovative Mobility Car-Sharing Outlook - Winter 2016" report produced by the Transportation Sustainability Research Center at the University of California, Berkley, the growth rates of car sharing are impressive. In North America, car-sharing membership has grown nearly fourteen-fold from 2006 to 2014. The number of vehicles available for car sharing has grown seven-fold over this same period. But with 24,210 vehicles in 2014, out of a total vehicle fleet in the US of around 250 million vehicles, this is only 0.01%, or about 1 in 10,000 vehicles. The hottest transportation trend over the last five years has been the rise of transportation network companies (TNCs). This is a fancy name for the e-hailing service provided by companies like Uber and Lyft. Typically, a rider will use their smart device to order a ride a few minutes before they need it. The fare will be determined and agreed to in advance. The vehicle will then arrive and take the rider to their chosen destination, where the rider will disembark and the electronic payment will be finalized. This is essentially what transportation-as-a-service (TaaS) is—a way of moving people where they want to go that is more convenient, cheaper, and more flexible than owning a vehicle. Information on these TNCs is hard to come by, but in January 2015, the Wall Street Journal claimed that Uber had 160,000 drivers in the US. We know that these drivers would not all intend to work on the same day, but this is potentially over six times more than the 24,210 vehicles that the car share sector had available in 2014. Since it was founded in 2008, Uber has rapidly grown in value, and after numerous funding rounds worth $12.5 billion, is now reported to be worth approximately $66 billion. Lyft is reportedly a tenth of the size of Uber in terms of rides, and therefore valuation, but is possibly growing at twice the rate of Uber. The biggest impact of Uber and Lyft have been found in the major cities in the US, but still, they currently serve only a tiny percentage of daily trips, despite their impressive 100%+ annual growth rates. If this trend were to continue for several years, then their impact will become much more noticeable on a daily basis. Both Uber and Lyft recognize that, whilst their business model has been disruptive for the taxi industry (e.g., Seattle taxi industry revenue dropped 28% in 2 years), their own business model will be disrupted by the arrival of fully self-driving "taxis" that cut the driver out completely. Travis Kalanick, CEO of Uber, was talking about the possibility of driverless cars in 2014, long before his company made its first public moves into this sector—and immediately after Google had unveiled their two-seater prototype self-driving vehicle. The reason Uber could be expensive is because you're not just paying for the car — you're paying for the other dude in the car. When there's no other dude in the car, the cost of taking an Uber anywhere becomes cheaper than owning a vehicle. So the magic there is, you basically bring the cost below the cost of ownership for everybody, and then car ownership goes away. Kalanick therefore recognized that transportation-as-a-service is Uber's goal, effectively replacing our desire to own a vehicle with the convenience of going wherever we want to, when we want to. In February 2015, Uber then made their first public move into self-driving technology by announcing a "strategic partnership" with the National Robotics Engineering Center at Carnegie Mellon University. In May 2016, Uber's first self-driving cars hit the streets of Pittsburgh. In August 2016, Kalanick made it clear just how important the race to develop fully self-driving technology was—not just for Uber's profitability and growth, but to its very survival. If we are not tied for first, then the person who is in first, or the entity that's in first, then rolls out a ride-sharing network that is far cheaper or far higher-quality than Uber's, then Uber is no longer a thing. To reinforce how serious Kalanick was with this existential threat statement, Uber also announced in August 2016 that they had bought Otto, a self-driving-for-trucks startup co-founded by Anthony Levandowksi, an original member of the Google Self-Driving Car Project team. Levandowski was announced as the leader of Uber's combined self-driving efforts and, in December 2016, he oversaw the rollout of Uber's new self-driving Volvo's on the streets of San Francisco. This did not go at all well, and after reported incidences of running red lights and veering into bike lanes—and a refusal to obtain autonomous vehicle testing permits from the California DMV—the Uber crew fled town and headed for Arizona. Meanwhile, Lyft were also painfully aware of the existential threat presented by self-driving technology, and in January 2016, they announced a $500 million investment from GM. It was public knowledge at that time that GM had an ongoing, but relatively low-key, self-driving technology development program. But what Lyft probably got told was that GM was talking to Cruise Automation, which they eventually acquired in March 2016 for around $1 billion (well, at least $581 million). 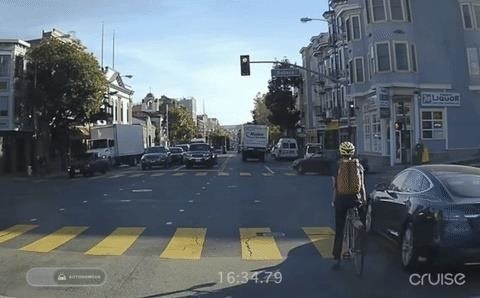 When Cruise Automation released their remarkable video in January 2017 showcasing their SAE Level 4 driving around San Francisco, then suddenly Lyft appeared to have moved ahead of Uber in the race that Uber's very survival depends on them winning. With the exponential growth in car sharing, we are already seeing a trend where private vehicle ownership is being nibbled away at—at an increasing rate. This accelerating rate is then being further sped up by TNCs like Uber and Lyft. At the same time, these companies are fearful for their survival because of self-driving vehicle technology that threatens to penetrate the market at an even faster accelerating rate. The combination of these trends could change car ownership numbers much more rapidly than we can conceive of right now. It might only be a few more years before self-driving taxis from companies like Uber and Lyft are significantly cheaper than owning your own private vehicle. Lyft cofounder John Zimmer has stated in his blog that "within five years, a fully autonomous fleet of cars will provide the majority of Lyft rides across the country." 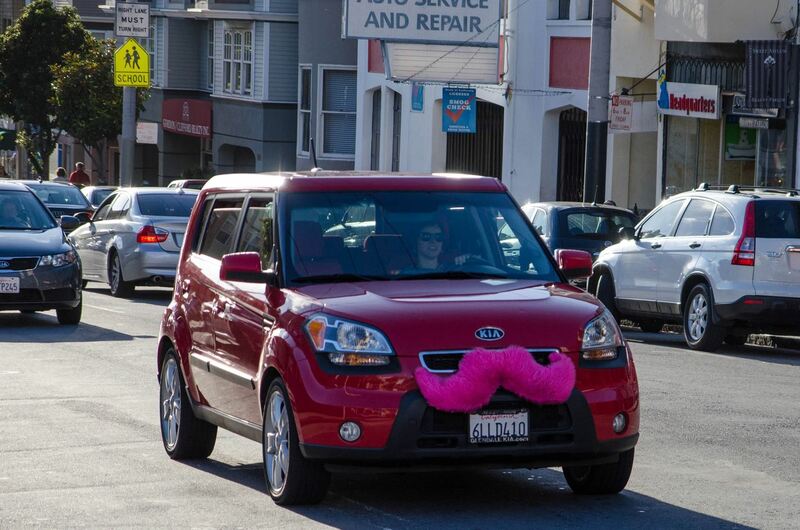 It is Uber and Lyft's goal to provide a competitive TaaS alternative to owning a vehicle. If you don't have to park, maintain, fuel, insure, and clean that vehicle, but can instead hire the vehicle that you want, when you want it, will you be willing to forego ownership and use TaaS? Will We Want Ownership or TaaS in the Future? For some people in the current ownership paradigm, the answer now will be a resounding no. For others, even now, they cannot wait for the opportunity to save money and be released from car ownership and the chore of driving, and they will reply emphatically yes. The majority of us probably can't contemplate how this will play out, and we will simply assume that we will always want to own a vehicle—especially if we want to break from the cities to explore nature in remote areas. The actual business models around driverless vehicles are much more complicated than described above, and the trend towards transportation-as-a-service may be much more powerful as result. We expect to explore this in greater detail in future articles as developments occur and the driverless story unfolds. Meanwhile, we ask you, the reader, to give serious consideration to the possible benefits and challenges of not owning a vehicle.